Equally at home in modern and vintage Jazz styles Matt enjoys a diverse musical career that also encompasses Symphonic and Light Orchestral Music. He has accompanied many leading Internationally known jazz figures such as Harry ''Sweets'' Edison,Conte Candoli,Bucky Pizzarelli,John Pizzarelli, Warren Vache and Scott Hamilton. Most recently he has appeared with Steve Grossman, John Hendricks, Curtis Stigers and with Kurt Elling as part of Guy Barker's latest large scale commission for the BBC and Aldeburgh Festival 2013. Matt is a member of Claire Martin's group, Jim Mullen's Organ Trio and Damon Brown's International Quintet and he often appears at Ronnie Scott's as a member of the James Pearson Trio. Matt has recorded and appeared with singers such a Marion Montgomery, Dame Cleo Laine and for Dame Jesse Norman in her Ellington and Gershwin Concert Series (2006). Matt performs with The BBC Big Band and the BBC Concert, Philharmonic and Symphony Orchestras that has included several broadcasts and BBC Proms T.V appearances. Also Matt regularly plays with The LSO, Philharmonia,CBSO,RLPO, Britten Symphonia, Lahti, RTE Concert Orchestra and Big Band. He often plays in Guy Barker's Jazz Orchestra including BBC Proms & Cheltenham Jazz Festival appearances for 2015. Matt co leads and organises the Skelton-Skinner Allstars Big Band. They regularly appear at Ronnie Scott's Club London. He is also the drummer for the Grammy nominated John Wilson Orchestra. 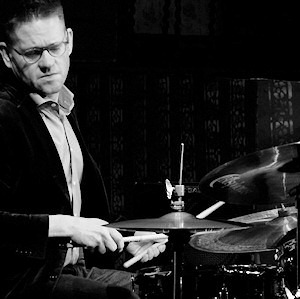 Matt is the Jazz Drums tutor at The London College Of Music and regularly guest directs the Big Bands of The Royal Academy of Music and Trinity Laban College Of Music.